The RAV4 from Toyota has been positioned as everything from a small SUV to a city friendly crossover with cargo capability. Now the vehicle is also being touted as something that can do more than hit the paved roads. Bumper2Bumpertv thinks that claim may be taking things a little far. Nissan is taking the long view with the all electric Leaf in 2018. Bumper2Bumpertv has a look at the latest version of the platform which has evolved from an experimental vehicle to something that is pretty mainstream. The 2019 Kia Sorento is the brands latest attempt to make a name and space for the company in the full sized suv or crossover segment. Bumper2Bumpertv has a look at the seven passenger unit which has some good points and some bad. LENGTH X WIDTH X HEIGHT: 210.0 x 93.8 x 76.3 in. BOTTOM LINE: The Lincoln Navigator is large, very large, but it is extremely comfortable and practical, as long as you don’t have to refuel it. “Ohmygod is that big,” was my wife’s initial comment when she saw the Lincoln Navigator. And it is big - 17.5 feet long on a 10-foot wheelbase, and nearly six and a half feet tall. But, while you have room to move around inside, the Navigator is also a very nice vehicle to drive and ride in. Front seats are comfortable with armchair comfort and adjust to almost anyone’s preferences. Let’s face it, you can’t please everyone. The head restraints are almost pillow-soft and I couldn’t keep from bouncing my head off mine. Second-row seats are equally wide with a similar console/arm rest with an underneath tray. For third row access, the second row seat powers forward. Visibility is awesome all around. In reverse, you have a standard reversing camera plus a 360-degree ”overhead” view that can be turned on even in forward mode. A huge vehicle like the Navigator should have a huge engine. Nope. A 3.5-liter twin turbocharged V6 resides under the hood. It develops a healthy 450 horsepower and 510 pound-feet of torque. Floor the accelerator and the Navigator perks up like a smaller vehicle. The 10-speed automatic transmission is operated with a pushbutton shifter located at the base of the center stack on the dash. I felt this was not practical. I had to stop and think every time I chose a gear. I like the simple instrument panel with a tachometer and speedometer that only displays the vicinity you’re in. For example, if you’re running at 60 mph, you only see roughly 50-70 mph displayed plus the pointer. Same with the tachometer. Nothing else. We spoiled the view by adding fuel economy, but this is a nice simple IP. The Heads-Up Display (HUD) is something else. It is the most informative HUD I have seen. 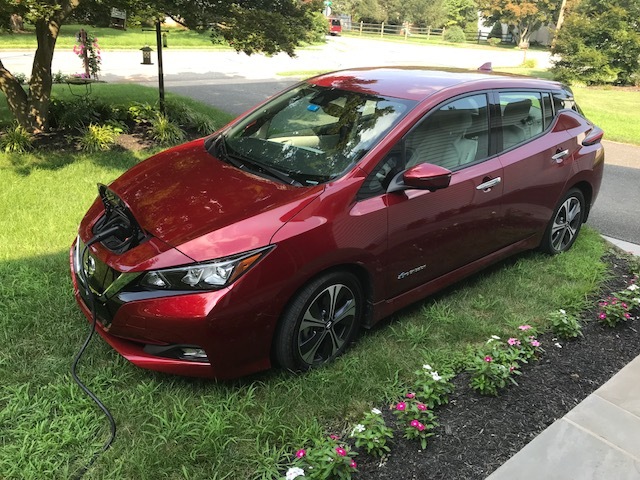 It not only displays speed, but it also has the local speed limit, turn signals, time, outside temperature, miles to empty, gear and lane departure warning guidelines. The huge iPad-size infotainment screen is primarily a map display. If you can figure out how to choose audio selection, it doesn’t display on the screen. There is a one-line indication of what is playing at the top of the instrument panel. Make changes to the HVAC (temperature or fan speed) and this takes over the map screen for a few seconds. Big SUVs are traditionally hard for entry and egress. The Navigator has running boards that extend when you unlock the doors. Plus, assist handles on the A pillars (both sides) help. Cargo capacity is excellent. With the third-row seats down I was able to put my golf bag in longitudinally. We could have put several more in there. A big plus is that the seats are powered, so all you have to do is push a button to get the third-row seat backs to fold. With interior space galore you can make use of innovations. For example, beneath the console by the center stack there is a large shelf that works for purses, etc. It has a smaller partner that extends beneath the console. Six cupholders should be sufficient for the front passengers (the standard two in the middle and two each in the doors). The very large console/arm rest is probably big enough for a six pack (of soda, of course). Second row passengers must make do with only four cupholders. 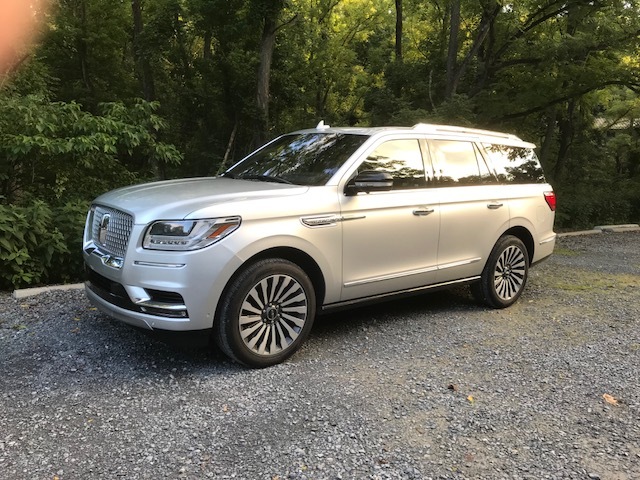 While its size dwarfs most other vehicles, the Lincoln Navigator atones for its size with good performance and comfort. It was not that long ago that the Volkswagen brand was focused on restoring its good name follow a diesel emission cheating scandal. But now the company is back to building well thought out cars and suv’s.Bumper2Bumpertv has a look at the mid size entry, the Passat. Ford Motor Company is undergoing a major change in direction for the North American market. Bumper2Bumpertv also notes that the company is also trying to reach out to some different kinds of journalists to tell their story.